Splits one jack into two jacks. Supports one or two lines on each jack. 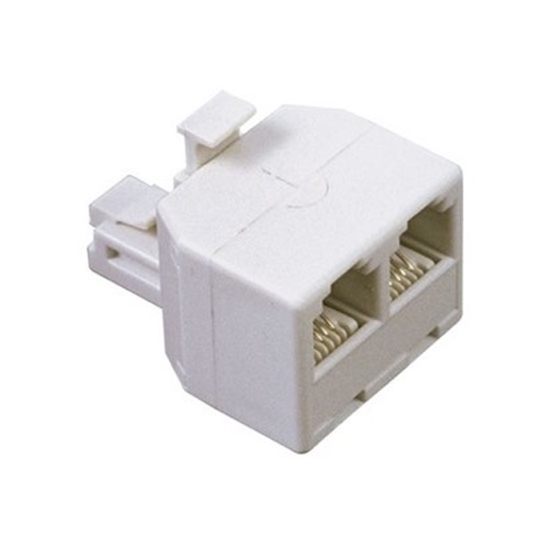 Plug the 2-for-1 Adapter into existing modular jack at the wall. You can then plug any combination of phones, answering dialers, modems, speaker phones, etc., into the two outlets.